If you are looking for free eBooks, the best place to visit is the Free Book Browser website. It provides a huge collection of websites that offer free public domain books. Its index is constantly growing and it gives access to millions of free eBooks in 68 categories and genres. For each website there is a general description and whether or not registration is needed to access their eBooks. Websites that do not need registration are at the beginning of the list for easy access to free content. Links in each category direct you straight to the chosen category in the selected website. For example, if you are looking for children books, in the children category you can find around 60 websites that will lead you to children books. After choosing a website, by clicking on the name or on the icon of the website, it opens in a separate window, where you can search further for the eBooks in the chosen category (children books in this case). 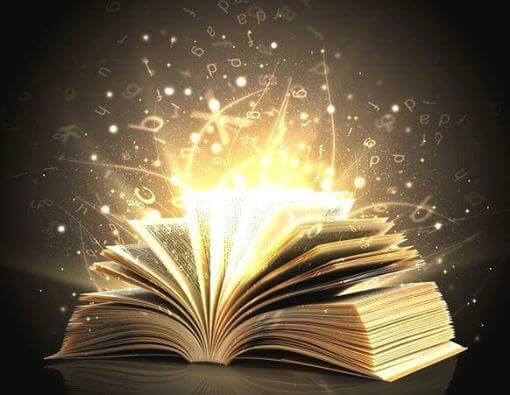 All together there is a general description of more than 600 websites with free eBooks and all their categories (or genres) are all directly accessible trough Free Book Browser. Most of the websites listed have content that is legal for them to distribute. In addition you can browse their main eBook sources and the websites with multiple categories. 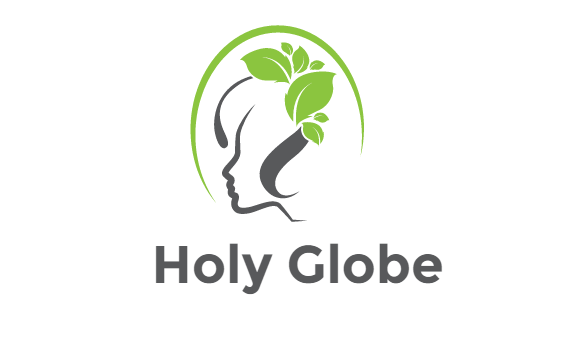 From there you can access the home page of the largest websites that offer free books, such as The Internet Archive, Manybooks and many others. Also, there are lists of websites with public domain eBooks in several languages. There are 16 languages at the moment. 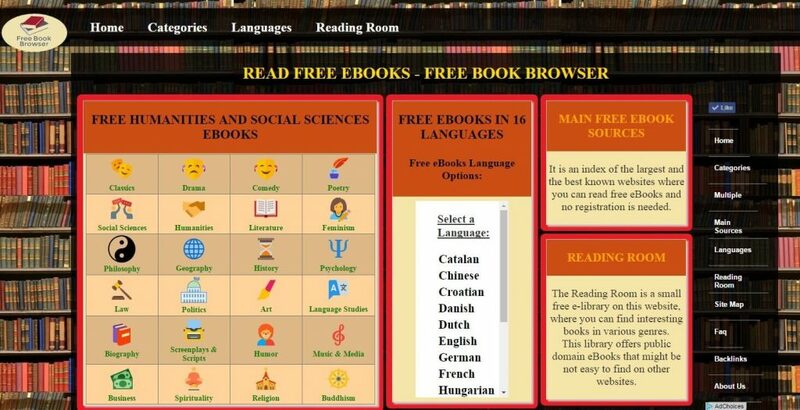 By choosing a language, you can have access to all the websites that offer free eBooks of the chosen language. There is no categorisation of language books, yet you can look for genres or categories in the website you have chosen to open (if there is such an option on that website, but maybe there is a search option too, depending on the website). In addition, there is a Reading Room. The Reading Room is a place with books with several categories. In contrast to the other part of the website, in the Reading Room books can be browsed and read directly from Free Book Browser website.